Oswego, N.Y. - During Harborfest Weekend 2011 Fort Ontario State Historic Site will host a Civil War Encampment, Radio-Controlled Airplane show, and children&apos;s battle reenactments and marching drills. 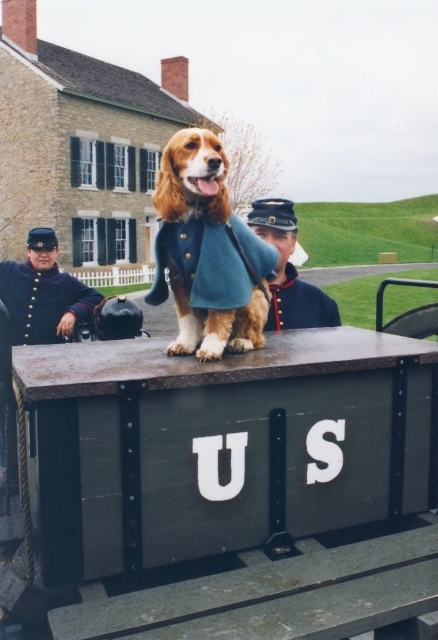 On Saturday, July 30, from 10 a.m. to 4:30 p.m., and Sunday, July 31, from 10 a.m. to 3 p.m., members of the recreated 28th New York Infantry and Cushing&apos;s Battery 4th U.S. Light Artillery Regiment of the Civil War will garrison the old fort. Children&apos;s battle reenactments and marching drills will be staged on Saturday and Sunday at 3 p.m.; participants are encouraged to register ahead of time and bring their own wooden muskets if they have them. The Hawks Junior Aviators RC Airplane Club will establish an airstrip on the lawn north of the fort and fly approximately the same hours as the encampment. Children are invited to take the controls with an adult club member and learn how to fly RC airplanes. AmeriCorps staffer Ian Mumpton will conduct historic children&apos;s games, marching and musket drills, sports, and supervise the children&apos;s battle reenactments. Parking for Fort visitors, Harborfest patrons taking trolleys, and fireworks viewers will be available at the fort for a $6.00 vehicle fee from 9:45 a.m. until 9 p.m. Saturday, or, until the grounds are full. The lawn north of the fort has been mowed so there is plenty of room for viewing the fireworks. The RC Airplane club will sell hot dogs, hamburgers, chips, candy, and soda for reasonable prices on the north lawn on Saturday and Sunday; the Friends of Fort Ontario will vend similar items on the south lawn of the fort Saturday evening. Proceeds from the Friends sales will go towards funding special events, restoration, interpretation, and projects at the fort. There is still time to purchase a Friends family membership [fortontario.com]. Fort Ontario State Historic Site is located at the north end of East 4th Street in the City of Oswego. For more information on Fort Ontario call Paul Lear at 315-343-4711, or visit the agency website [http://www.nysparks.com/]. 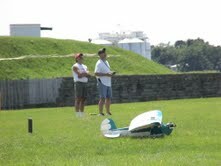 Photo Caption 1: Radio Controlled Airplanes will soar over Fort Ontario in Oswego during Harborfest Weekend 2011. Kids can try their hand at being an RC Airplane pilot with skilled instructors. Photo Caption 2: General Brown and the Civil War Artillery and Infantry will garrison old Fort Ontario during Harborfest weekend.